Now, prospective home buyers have even more options at Arden. 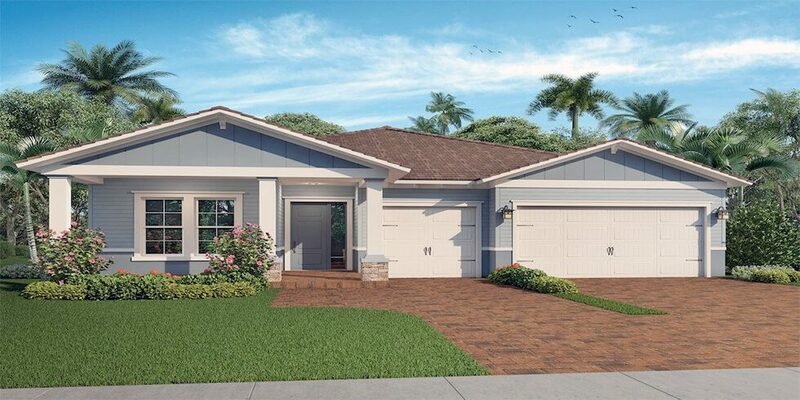 The new master-planned community in western Palm Beach County has added Lennar to its impressive collection of homebuilders, which also includes Ryan Homes and Kennedy Homes. Lennar, one of the nation’s leading homebuilders since 1954, will offer three different home styles — Coastal, Spanish and Craftsman — featuring spacious living areas, three-car garages, large covered patios and welcoming front porches. All Lennar homes are equipped with smart technology controlled by Amazon Alexa, including video doorbells, smart locks and Wi-Fi thermostats. The three-bedroom and four-bedroom homes will range in size from 2,600 to 3,500 square feet and be priced from the low $400s. The first model homes are expected to be completed in early 2018. In addition to the amenities, residents at Arden can really have it all with Lennar’s “Everything’s Included” program. The homebuilder is known for investing in extensive market research to determine which features and finishes are most desirable in each market, and then includes those top finishes in the home design. Developed to promote healthy living, community engagement and a connection to the great outdoors, Arden will eventually have 2,000 homes — the majority of which will back up to community green space, including parks, playfields, greenways, nature trails or lakes. The scenic property features 20 miles of walking and biking trails; 200 acres of lakes for fishing, kayaking or canoeing; and an expansive great lawn for events. Arden is one of the first in Florida to feature a farm as a central component of community life. The five-acre parcel will produce fruits, vegetables and herbs under the guidance of a farm manager, and feature an event barn where residents can gather for seasonal themed classes, harvest experiences and more. The heart of recreational activity at Arden will be the spacious, two-story clubhouse, complete with a resort-style pool that flows over two levels. The peaceful upper pool and spa are surrounded by private cabanas for those who want some quiet time, while the lower pool offers water play areas perfectly suited for families. Scheduled to open next summer, the clubhouse will offer plenty of separate indoor and outdoor gathering spaces for all ages to enjoy. The upper level will have an inviting Wi-Fi café serving coffees, lattes, juices and grab-and-go food items, including frozen treats; meeting and event rooms; and an outdoor covered patio with a fireplace. The lower level will include a large fitness room and a private exercise studio with Wellbeats virtual trainers on demand. Freehold Communities is the development team behind Arden and is currently developing more than 10,000 residential lots in Texas, Tennessee, North Carolina, California and Florida. Lennar is now featured in both of Freehold’s communities in Florida — Arden and Shearwater in St. Augustine. Arden is located at 19425 Southern Blvd. just west of the new Palm Beach State College campus and Publix shopping center. For more information about the community, its builders or to sign up for the Founders’ Club here.